7.3 Acres of Land Available for Sale (Zoned Light Industrial). 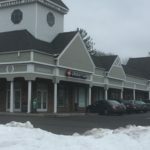 Located in a major retail corridor surrounded by many national tenants. Possible Uses for site include hotel, retail, restaurant, liquor store, wholesale distribution, garage or storage. 24,000 SF Retail Space and 12,000 SF Office Space Available for Lease in this new development. Join Starbucks, Citizen's Bank, The Salad Bar, Kathy's Urgent Care and Carbone's Prime along with 144 New Luxury Apartments that are currently being rented. 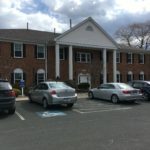 Great location with easy access to Interstate 91 and lots of retail and businesses close by. Two Story Building - 2nd Floor Condo Available for Lease/for Sale - 1,380+/- Square Feet. Sale Price: $125,000 Lease Price: $16 PSF plus utilities. New windows installed in 2017 and new roof in 2014. Zoned Commercial. 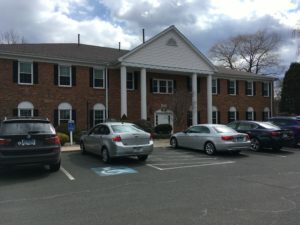 Easy Access to Interstate 91 at Exit 23. 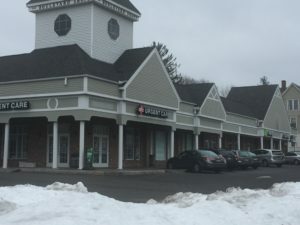 600-2,200 Square Feet Available for Lease in this 27,000+ square foot Plaza located in a strong retail market in West Hartford. Ideal location for Retail, Medical, Restaurant or Financial Use. Easy Access to Interstate 84 at Exit 46. Parking Available for 108 cars.